We can fabricate almost any size or shape glass table for your home or office. Glass tables provide elegant and versatile solutions for offices, dining room tables and more. Many of our clients draw their own designs and specs for a custom-made glass table addition to their home or office. 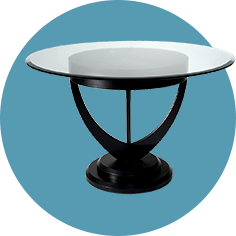 We can fabricate beautiful glass tables for your dining room, board room, conference room, waiting room, lobby and more. You will love our craftsmanship and attention to detail. Protect your antique or brand-new furniture from nicks, scratches, and other possible damage with a glass table top. It can also refresh older pieces with a less permanent option than paint or stain. 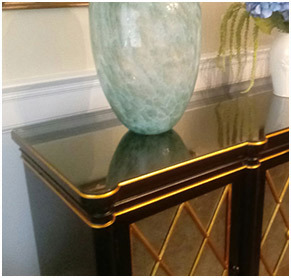 Our expert craftsman custom fabricate beautiful glass table tops to match the shape of your furniture.